This necklace is pretty intense it manages to be raw and edgy, but with a strange amount of dekicacy. 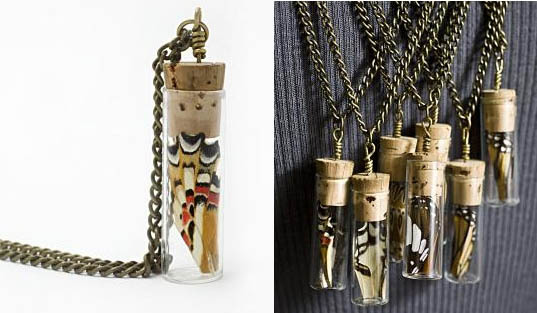 It’s created using coyote bones and snake spine, and will definitely make you the center (or the spine) of attention. Created by Polly van der Glas, these rings feature real molars, set into a metal casing. They’re not stolen tooth fairy style, all teeth have been donated by, uh, dentists maybe? They’re sterilized before they’re set into the sterling silver casings. I can’t decide if I like them or not, there’s something a little creepy about them.. but also kinda cool. Thoughts? There are so many things I like about this piece. 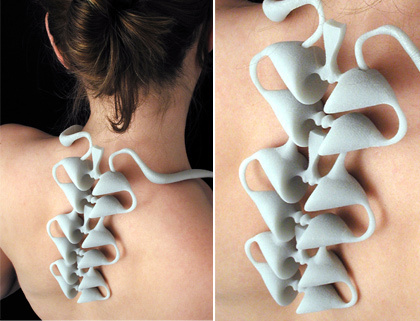 Back jewellery is a fairly unusual area to go into, and this visualization of the spine manages to be strangely feminine and alluring- I could see a Bond Girl in a plunging gown, or a celeb out to shock on the red carpet. It was created by student Molly Epstein as part of a project, and is not in production. 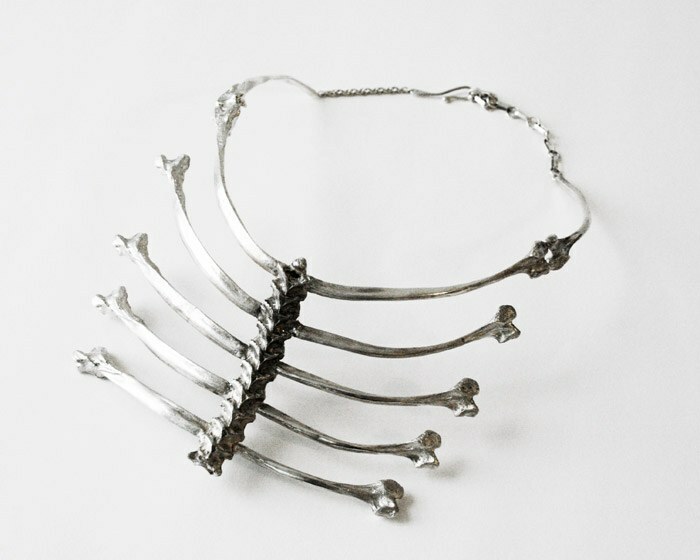 If you’re looking for even more strange jewellery, check out some human hair jewellery here. Wow..love it and tbe creativity!